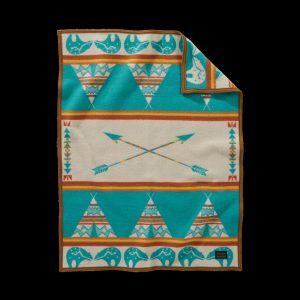 Made in the USA by Pendleton Woolen Mills. 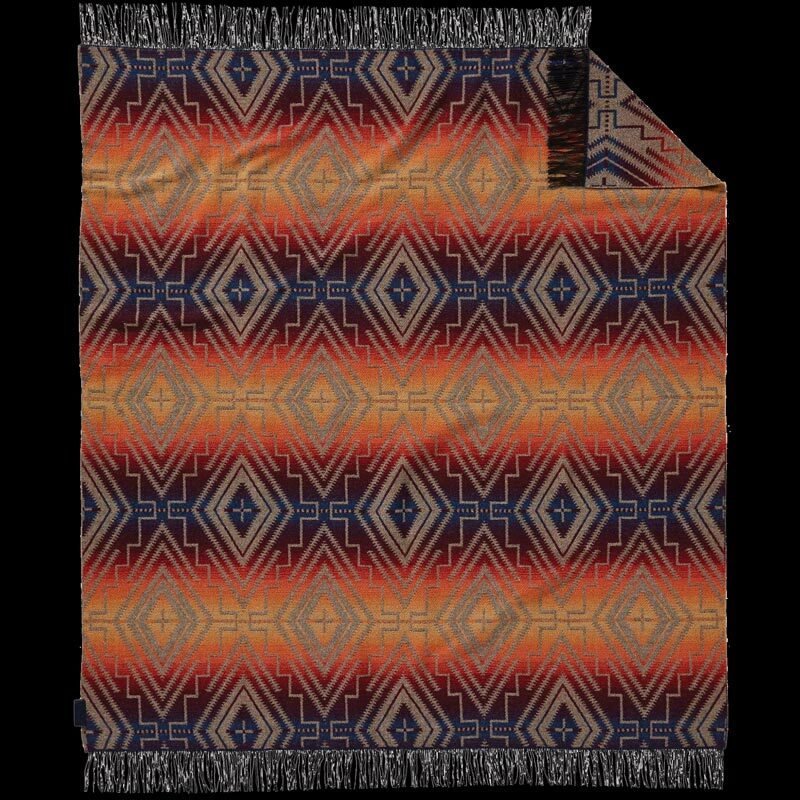 The Sunset Cross design was inspired by the works of Hispanic weavers from the village of Chimayo, just north of Santa Fe, New Mexico. 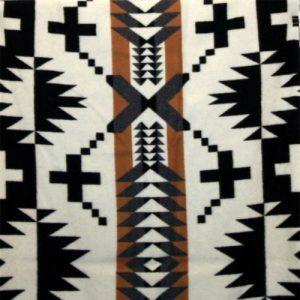 Navajo and Spanish motifs are interwoven to create unique patterns. 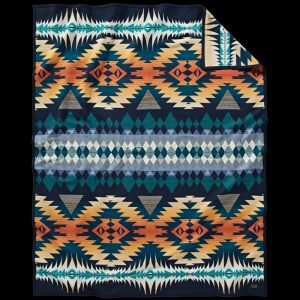 Finished with 4″ eyelash fringe at both ends. 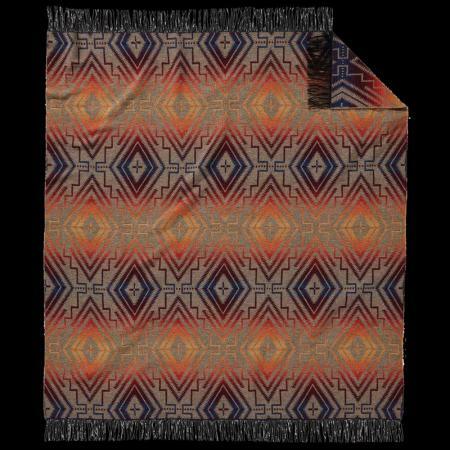 The lightweight wool fabric, woven in our own American mill, makes it ideal for dance or decorative use.